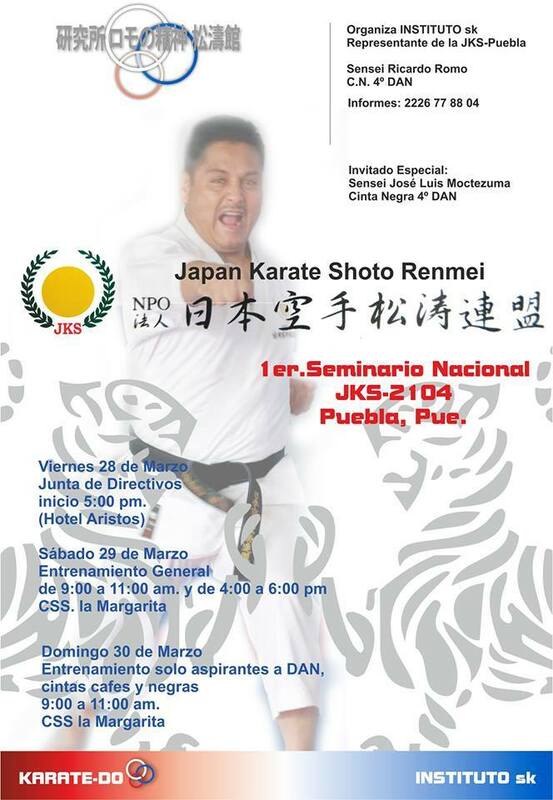 El sensei José Luis Moctezuma (Presidente JKS México, 4to Dan) estará impartiendo seminario a finales de mes en la Cd. de Puebla. This entry was posted on 12 marzo 2014 at 15:05 and is filed under Seminarios. You can follow any responses to this entry through the RSS 2.0 feed. You can skip to the end and leave a response. Pinging is currently not allowed.